Statistics Canada sounded alarm bells to the Conservative government that the response rate for a voluntary long-form census would be less than 50 per cent, according to documents obtained by CBC News. Statistics Canada sounded alarm bells to the Conservative government that the response rate for a proposed voluntary long-form census would be less than 50 per cent, according to documents obtained by CBC News. 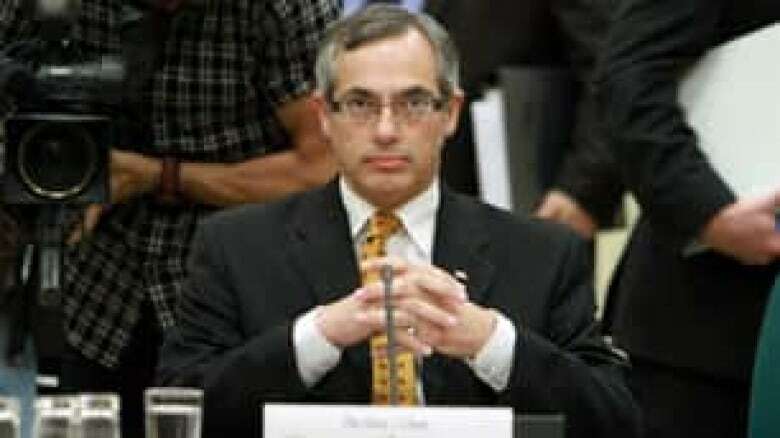 The dozens of documents, which are to be turned over to the House of Commons industry committee later this week, also show Industry Minister Tony Clement's office was initially concerned about being tied to the decision to scrap the mandatory long-form survey. In a March 2010 email to Elie Salibi, a member of Clement's political staff, Statistics Canada official Connie Graziadei wrote that a self-administered voluntary survey without follow-up and interviewer support provides a response rate of 50 per cent. Meanwhile on Tuesday, the Federation of Francophone and Acadian Communities of Canada asked the Federal Court to decide by Sept. 20 on its request for an injunction blocking the government's move to make the long-form census voluntary. The French-language group argues the mandatory census is critical to language rights and a lack of accurate information will affect services. The lawyer for the government argued this was too soon and requested a deadline of Oct. 19. The court will issue a decision Wednesday about whether to move ahead with an accelerated process that would meet the Sept. 20 deadline. The FFAC's lawyer argued it would be too late to issue an injunction by mid-October because of printing deadlines for the long-form census. Graziadei also said the agency could get a 65 to 70 per cent response rate for a voluntary census, which "is still not an acceptable outcome for a census … and will require a substantial amount of additional funding," because additional interview-administered surveys would have to be conducted. In a subsequent email sent in the days before changes to the mandatory census were revealed in June, Salibi, a former Conservative candidate who is now a policy adviser to Clement, asked Statistics Canada to remove the line "as per government decision" from documents and news releases announcing the mandatory long-form survey's cancellation. The next day, Erik Waddell, Clement's director of communications, made a similar request, asking that "as per government decision" be changed to "beginning this year." In an email to CBC News on Tuesday, Waddell said any changes to the documents were made by Statistics Canada. But the changes requested by Clement's staffers make it appear the decision to scrap the long-form census was not made by the government. It wasn't until reporters started writing about the census changes that the government admitted it was responsible for the decision, the CBC's James Cudmore reported from Ottawa. Former StatsCan chief statistician Munir Sheikh looks on as Industry Minister Tony Clement appears before the House of Commons industry committee in July in Ottawa. 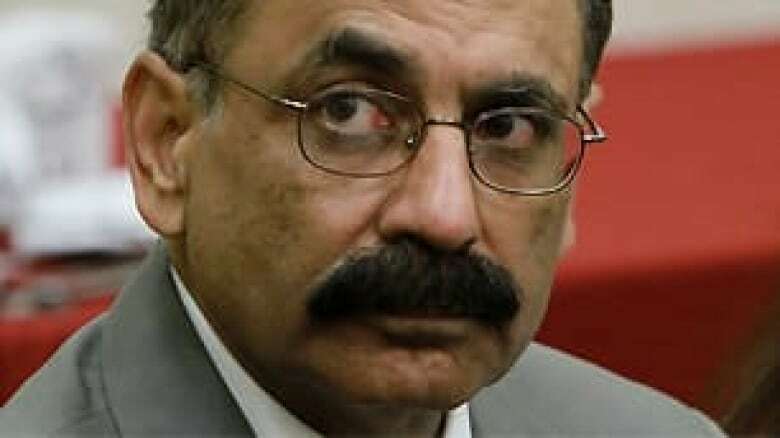 In an interview on Power & Politics with Evan Solomon on Tuesday, former Statistics Canada chief Munir Sheikh confirmed he resigned over comments made by Clement in a Globe and Mail interview in July that suggested Sheikh was fully supportive of the decision. "It was made quite clear that it was my view that the quality of the data from the voluntary survey would be as good as data from the mandatory census, which isn't what I believed in," Sheikh said Tuesday. A growing chorus of groups has condemned the government's move to cancel the mandatory long-form survey, saying it will lower the quality of data and hinder policy-makers' decisions. Should the census be voluntary or mandatory? Take our poll. Prime Minister Stephen Harper spoke publicly for the first time on the issue Monday, saying it is not "appropriate" for the government to threaten Canadians with jail time or fines for failing to fill out the survey when asked. Opposition parties have accused Harper's Conservatives of manufacturing a crisis, citing the fact that no one has ever been sent to jail for refusing to fill out the mandatory form. For his part, Sheikh said the prime minister and the government have every right to make the decision, but urged a "further rethink." "Given the importance of the mandatory census long form, we should have another look at it," Sheikh said.